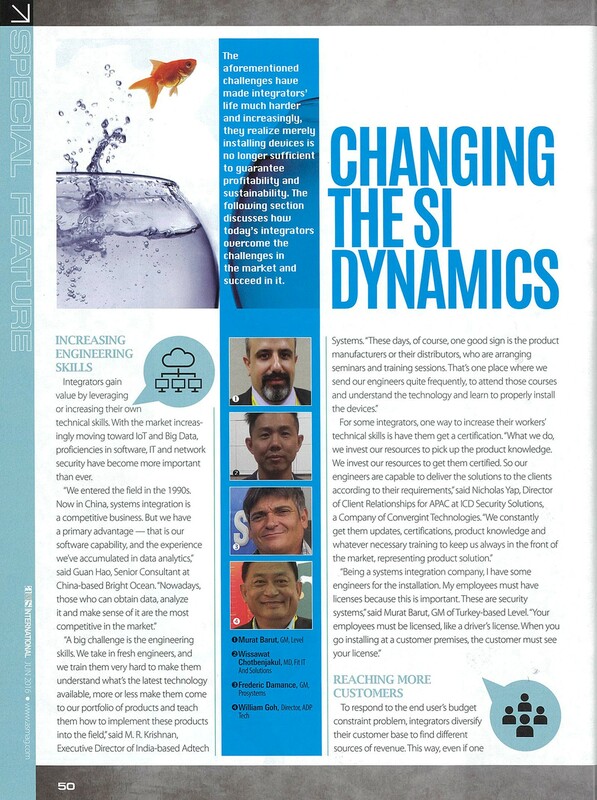 Mr. William Goh’s interview appears in a Special Feature ‘Defining New Systems Integrators in a More Connected World’ on page 52 in June 2016 Edition of the a&s International magazine. “For Singaporeans, they are practical: they look at single products to save money. 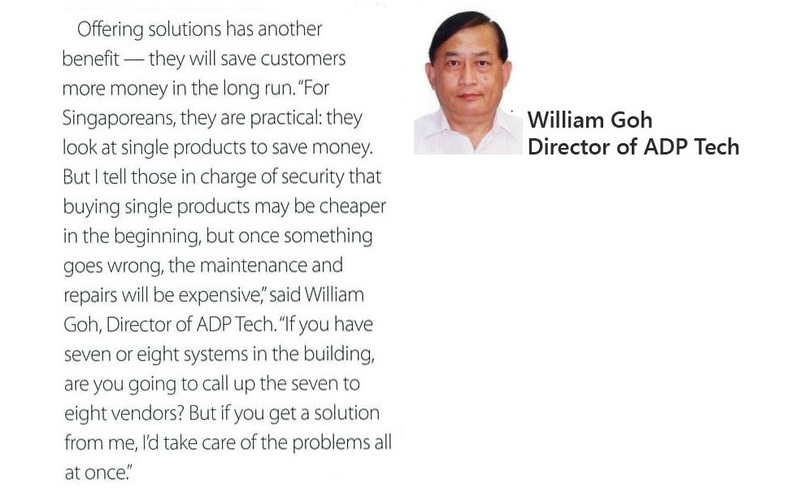 But I tell those in charge of security that buying single products may be cheaper in the beginning, but once something goes wrong, the maintenance and repairs will be expensive,” said William Goh, Director of ADP Tech, during an interview with a&s International for a Special Feature ‘Defining New Systems Integrators in a More Connected World’ in the June 2016 Edition of their magazine. 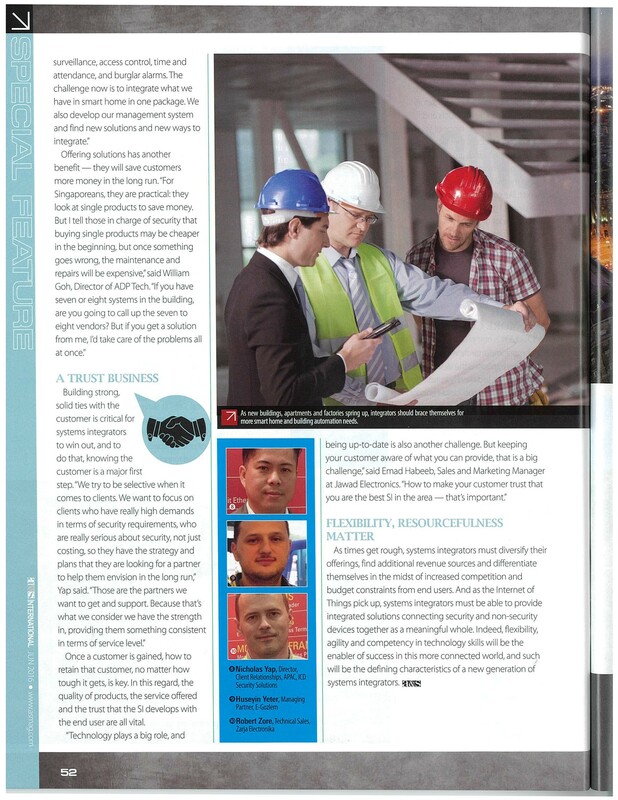 Mr. William Goh’s interview in a Special Feature ‘Defining New Systems Integrators in a More Connected World’ on page 52 in June 2016 Edition of the a&s International magazine. Next Next post: ADP won the Merlion Gold Award 2016!